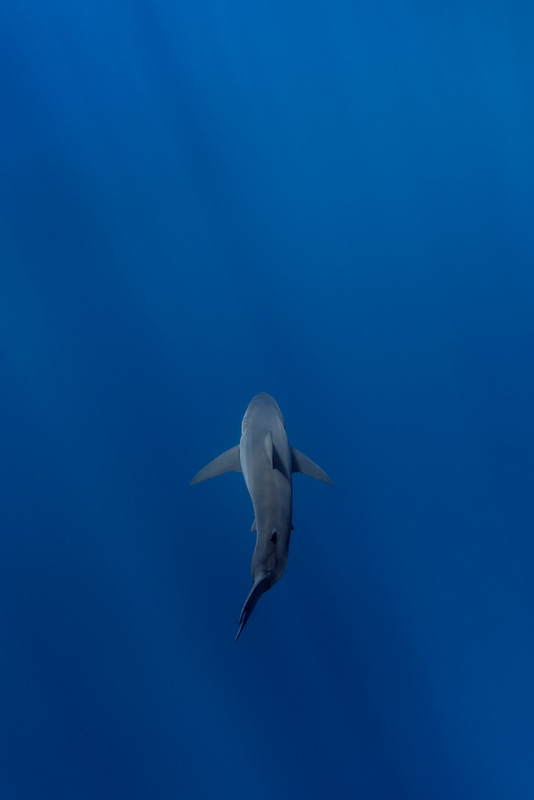 With powerful strokes of his tail, a male great white shark (Carcharodon carcharias) glides gracefully through the deep blue abyss below. 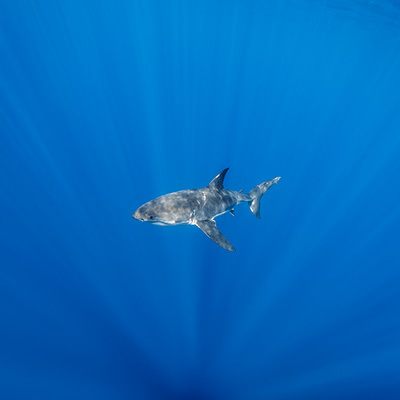 The white shark’s grey back and white belly are an example of a form of natural camouflage known as countershading. 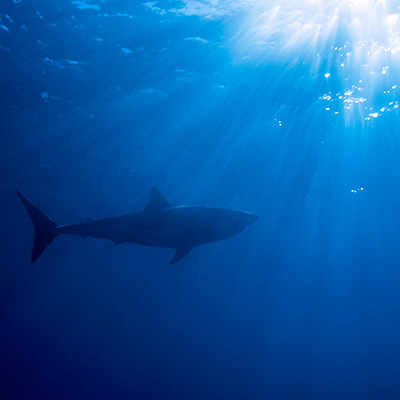 When view from above the dark grey color helps the shark to blend in with the dark blue water below it. When viewed from below the white underside helps it to blend in with the bright light from the sun.